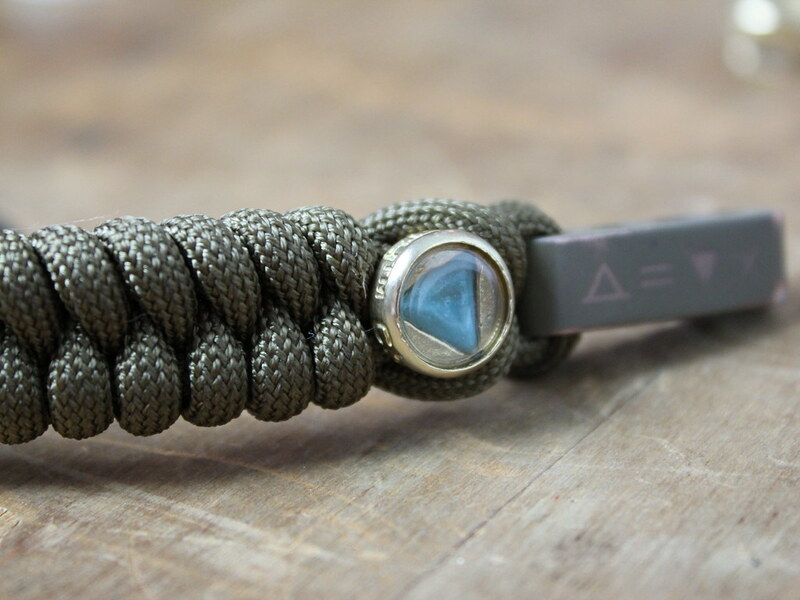 The Koyono + Cha-O-Ha EDC Bracelet starts with the best materials we could find. 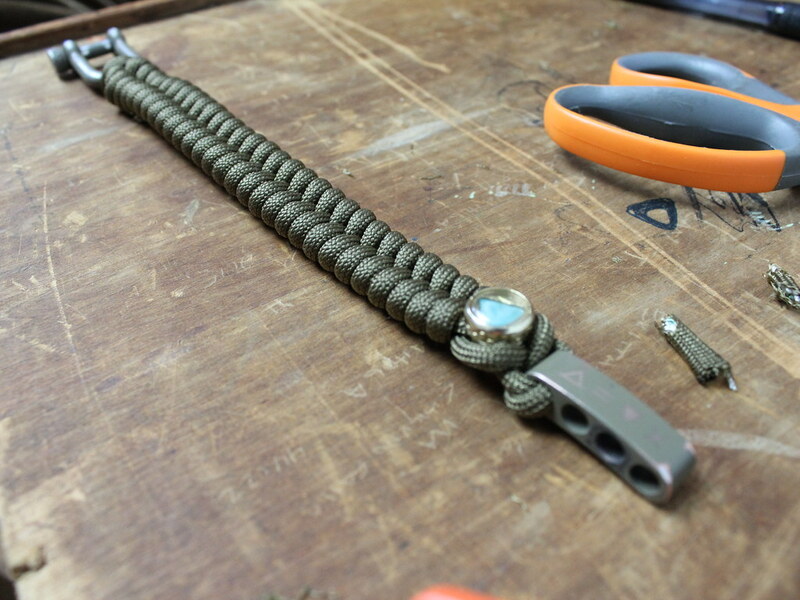 From MIL-C-5040H & PIA-C-5040 spec paracord, to a custom made Super LumiNova glow bead and ceramic coated adjustment hardware, nothing was spared in making the finest survival bracelet on the market. 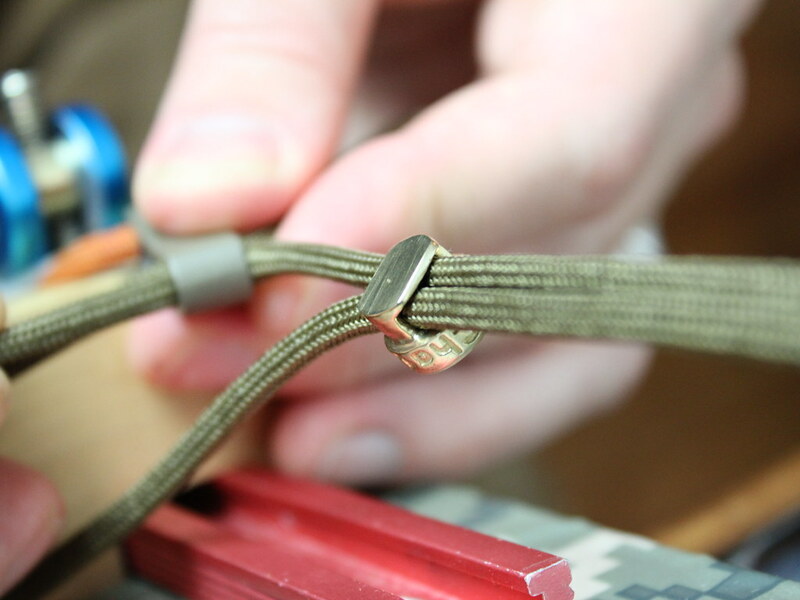 This particular bracelet is preowned and Tyler Lacor, the founder of Cha-O-Ha Designs, took time to weave a fresh braid using the original hardware. 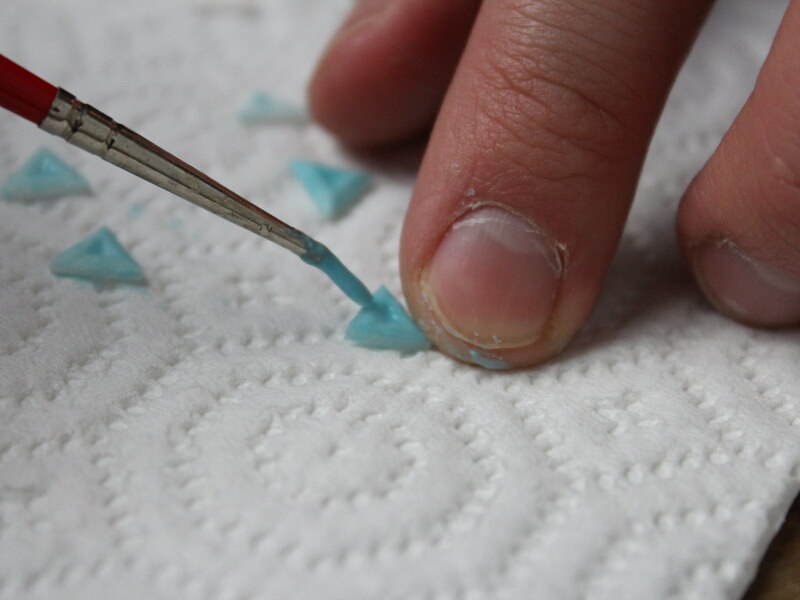 This subset of steps involves a meticulous process of painting the luminous element that goes in the glass bead. 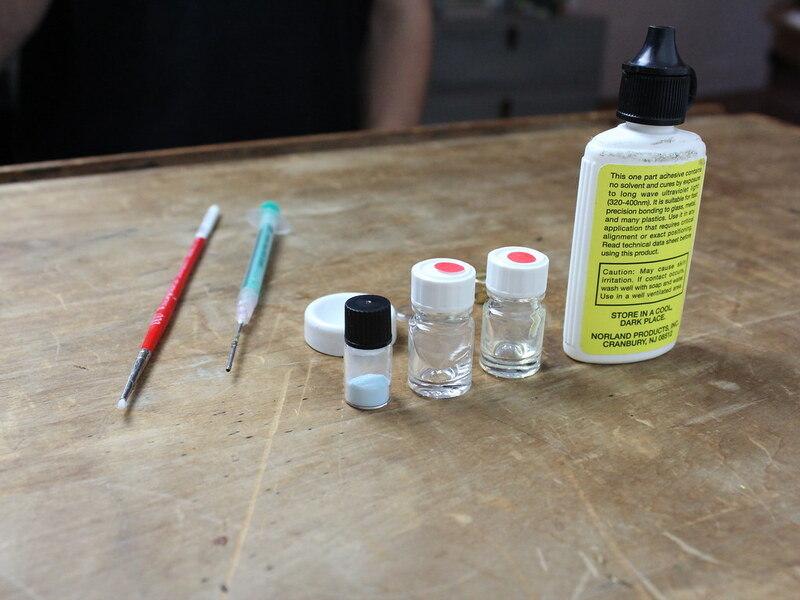 Each element is painted over numerous times for optimal glow characteristics. 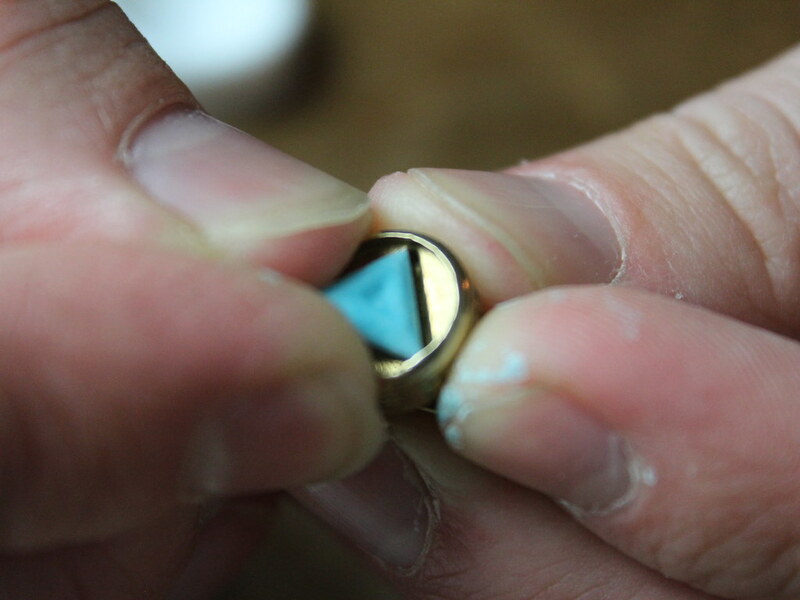 Each element is then set in the seat of the bead. 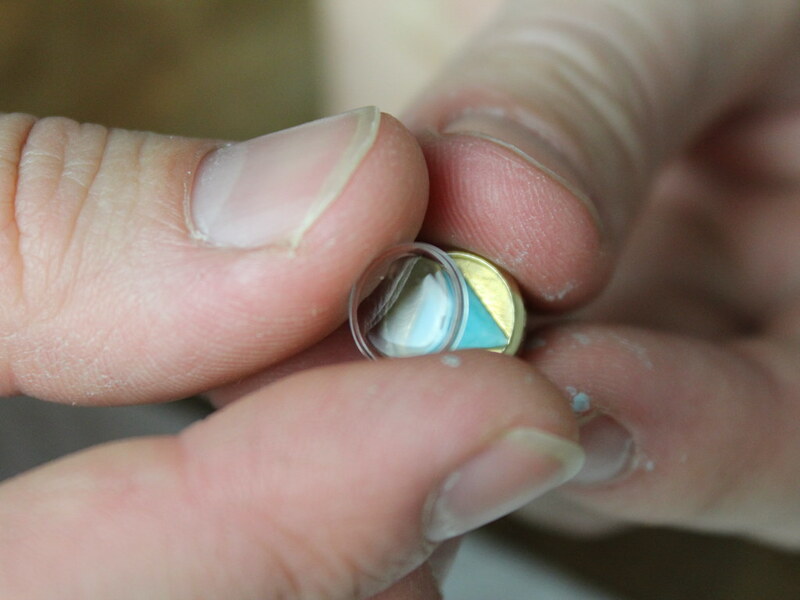 A dome is then secured onto the bead to protect the element from the environment. 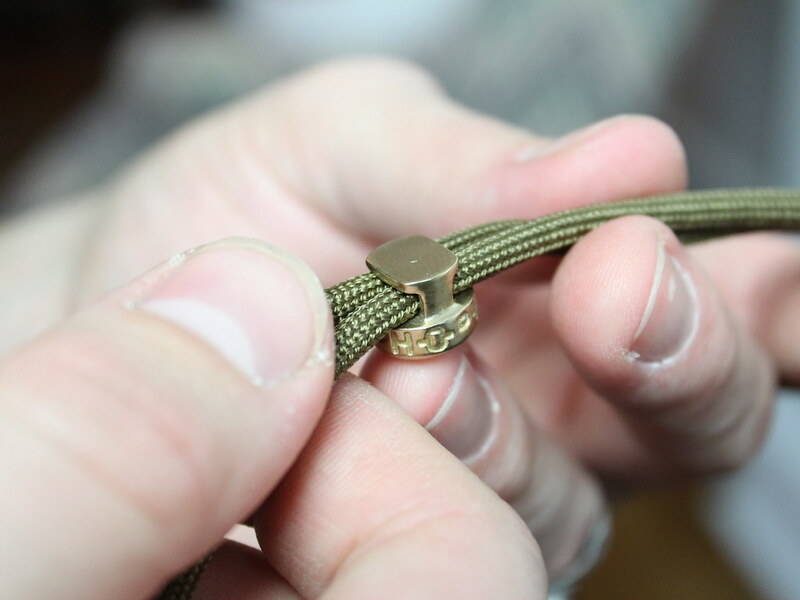 In order to weave the bracelet braid, the adjustment hardware that goes on either end must be secured apart from one another at a predetermined length. 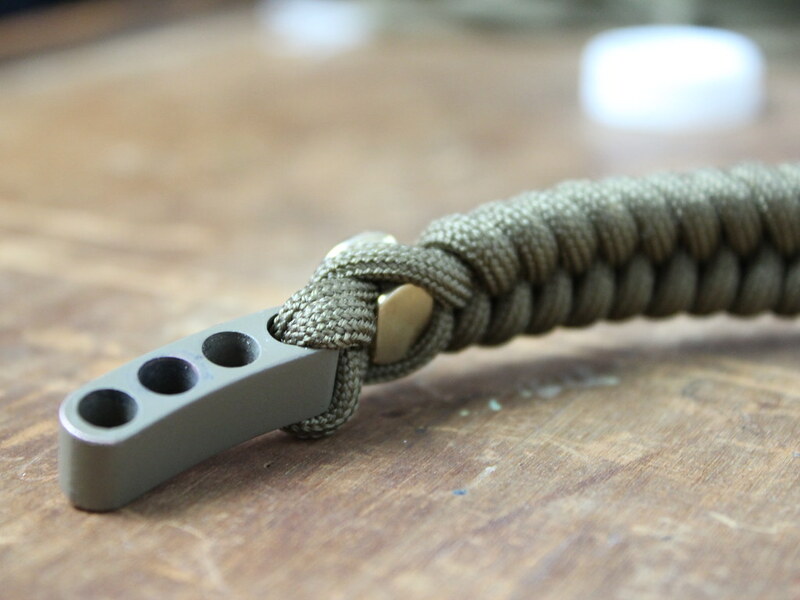 The glow bead is then slid on near where the braid begins. 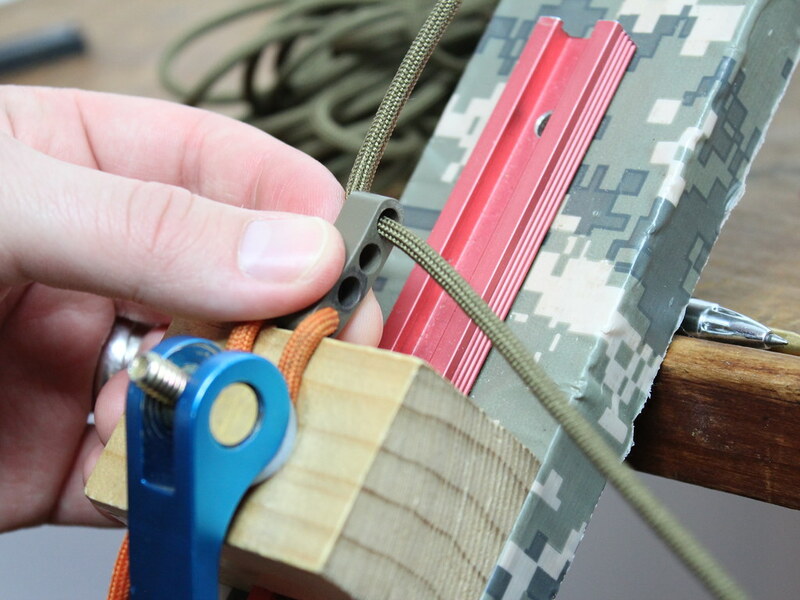 Tyler then makes several passes of the paracord until he reaches the end. 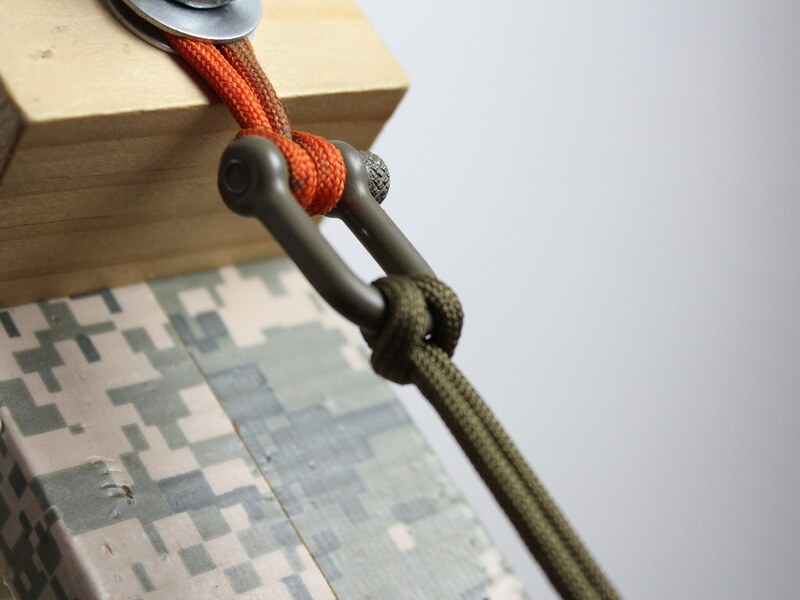 At this point the paracord is cut and unobtrusively finished to hold the assembly together. 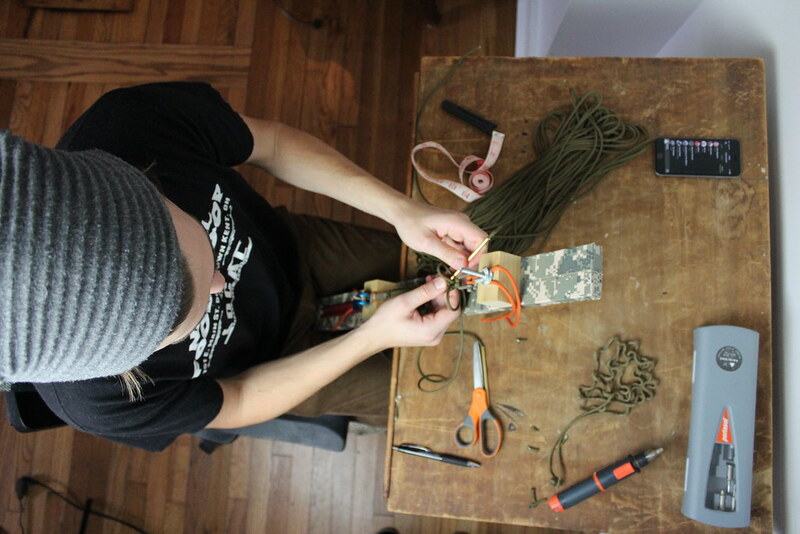 The process is very hands on to say the least and Tyler takes his time to make sure the weave is to measure and in length and aesthetics. 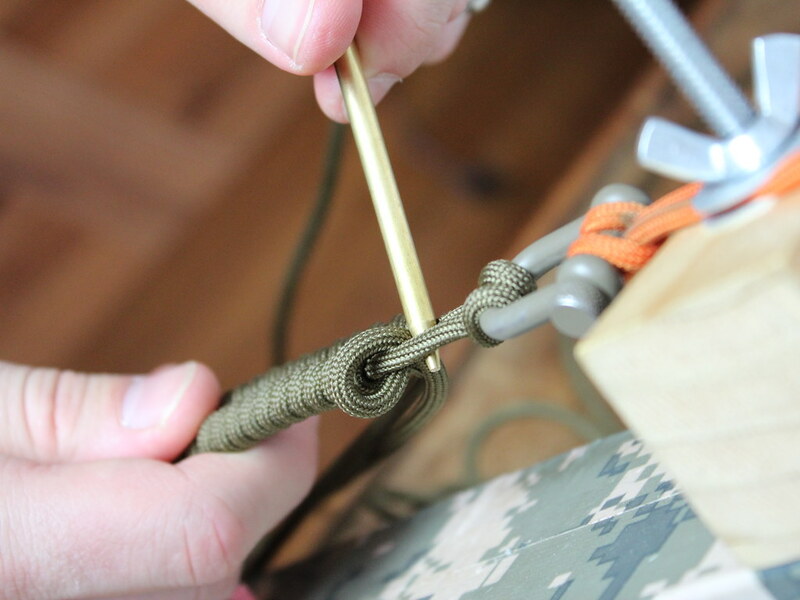 Should the paracord or assembly ever unravel, Tyler will weave a new braid at not cost if you mail the hardware back to him. 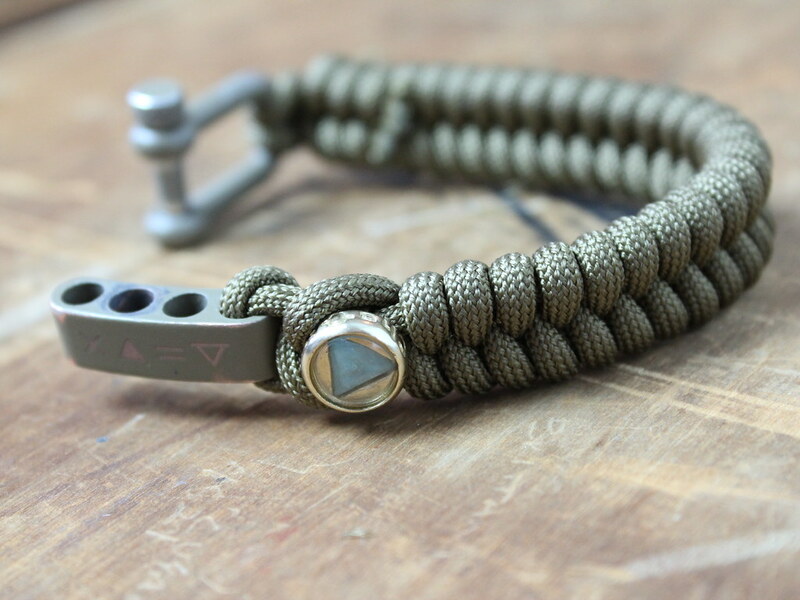 We are proud to offer Cha-O-Ha EDC designed goods and look forward to more collaborations with Tyler in the future.